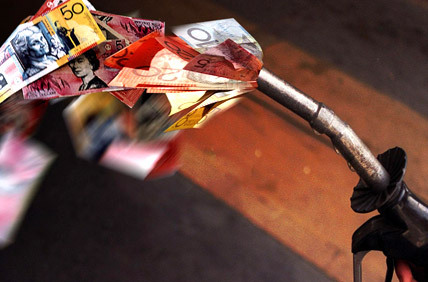 Motorists whine over the rising cost of diesel, the price goes up almost every other day. Diesel got its name from German inventor Rudolf Diesel, who made the first car to run on diesel in 1892.
a machine running on diesel requires low and less maintenance. diesel doesn’t cause any sparks. diesel is almost 50% lower than gas in terms of Kilowatt consumed. Aside from being used as fuel, diesel is also widely used in construction equipment and industrial plants. Generators on diesel supply power to construction, hospital, telecommunications, marine, and mining industries. Diesel fuel comes from crude oil lies deep in the ground. Crude oil is made up of different hydrocarbons. Gas is a finer petroleum product than diesel, so it should be more expensive. But we’re looking at economics here. If you refine more gas, you can upgrade the process to make it sell cheaper. That’s the case when unleaded gas came out—it fetched a higher price than leaded gas. But when cars switched to unleaded gas, lead gas became expensive. Lead is used as an additive to cool down gas, so it should be more expensive that unleaded gas. Another possible reason why diesel is more expensive is that it’s taxed higher than gasoline. In the USA diesel formation has been diluted, that’s why there’s more demand for it than gasoline. In the Philippines, diesel used to be cheaper than gasoline. It was because gasoline was more in demand than diesel. Later on car owners switched to diesel vehicles to cut expenses. This led to fuel manufacturers getting bigger profits. To motorists, diesel is priced higher because it tends to give more mileage to their car. The price of diesel remains highly volatile. It depends on many forces, foremost of which is supply and demand. There are groups that make a pitch for environmental safety with diesel but it has little to do with its high price. It’s so much to do with taxation and levy costs. Lately, cars running on diesel can run on cooking oil and other biodiesel. It is because diesel is derived from organic fossil materials such as vegetable matter. Because diesel is oilier than petroleum, it has higher power density. That is why it works more efficiently than petroleum- based fuel. It is also perceived to be more nature friendly. In terms of generated energy, diesel makes 40 megajoules compared with petroleum’s 35. More than that, cars running on diesel fume much lower carbon emissions than those running on petroleum oil (the difference is almost 25%). When it comes to manufacturing, diesel is certainly easier and cheaper to make. Jathropa, reed-like plant that grows in temperate counties, is now eyed as an alternative to diesel. Even so oil prices remain unpredictable.